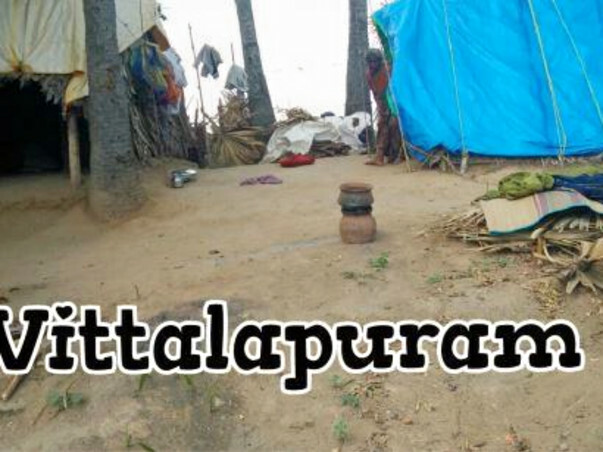 Vittalapuram is a small town close to Kalpakkam (near Mahabalipuram). This place is approximately around 65 kms from Chennai central. A hamlet of 25 families with an average size of 5 per family is identified to be one of the beneficiaries of the project. These 25 families reside in 15 houses, which are of a 4” x 5” size. 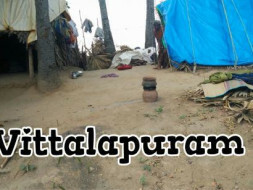 The main income of the people living in this place is by working in the fields that are in the surrounding areas. The children are being encouraged to go to a government school nearby. An NGO – Sevai Karangal is pioneered in helping this hamlet by encouraging them to work and send their children to school. One of the main problems in the hamlet is non-availability of electricity for the houses. They are dependent on kerosene for lighting and this in a way affects the health of the womenfolk and the children. There is no infrastructure of lighting available and in the night it becomes very difficult for these people to walk around the fields, as there is a threat of snakes. Also there is no proper toilet facility, which makes it difficult for these people who have to use the fields in the night for toilet without proper lighting. In lieu with the above problems, CRISIL have confirmed that a part of their CSR funding will go towards lighting up this small hamlet. Sevai Karangal will be helping in the post implementation activities where they will have a person identified to work with the hamlet and ensure that the lighting systems provided to them are being used to the fullest.